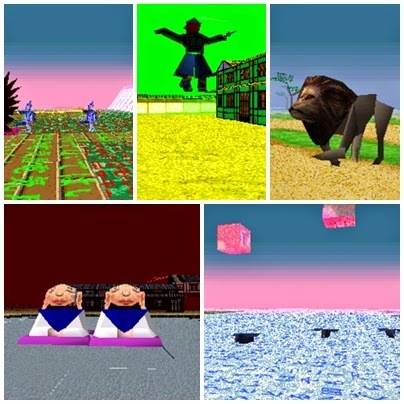 One of bizarre games that worth to try wasteing your time may be LSD Emulator, which in this game we will feel the "sensation" of Lucid Dreaming. Those who do not know Lucid dream you can ask what the heck is Lucid Dream? Lucid Dream is the activity where are in conscious of being in our dreams, essentially we can control our dreams and create their own scenarios. 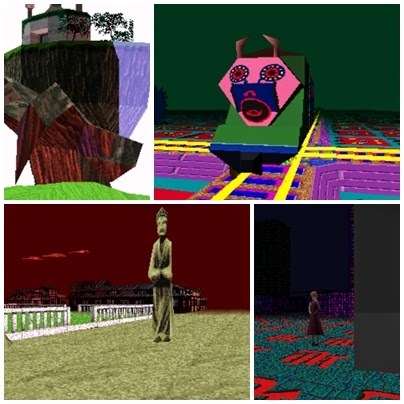 The idea to incorporate the concept of Emulating Lucid Dream can be regarded as innovative game, but it's ridiculous when Lsd Dream Emulator trying to show graphic illustration style into PSX technology. Released in 1998 and developed by Asmik Ace Entertainment, here I try to provide my view of the games I’ve played for a few days. Here we play a character where we are in the virtual world / the subconscious and we can roam freely anywhere by first person perspective. No missions, side-quests, even achieving a highscore. Because what we do is keep running and going by avoiding the object that will make the character thrown into a different place. During exploration, we will find strange objects moving, honestly i was shocked several times because playing it in the middle night. The game will end every ten minutes and return to the main menu where we will see the progress of the gam. Amazingly, we can save the game first, this game appears to require hundreds of days to be completed where the same day is equal ten minutes to play. Configuration does not require much in the game, just walk forward, I feel no need to improvise to find the combo movement because it's not a fighting game. All stuffs are boxes and flat, sometimes finding the same place. Do not be surprised here finding strange creatures wandering around and if you try to touch it, that will make you thrown to the early place, even walls also act the same. 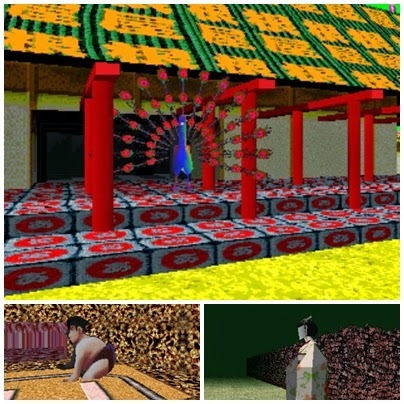 If you are paranoid with these creatures, obviously, do not try this game. Weird game acts same in the music. The music background are not catchy, but for me, I still enjoy because acid plus braindance is my fave. If you do not want any headaches , turn down the volume. Footsteps make rough noise and noisy. The fun thing in this game in my opinion is to find strange objects and then take for the screenshot (I use PC). For the rest, do not waste your time for a game like this except for guilty pleasure guilt. 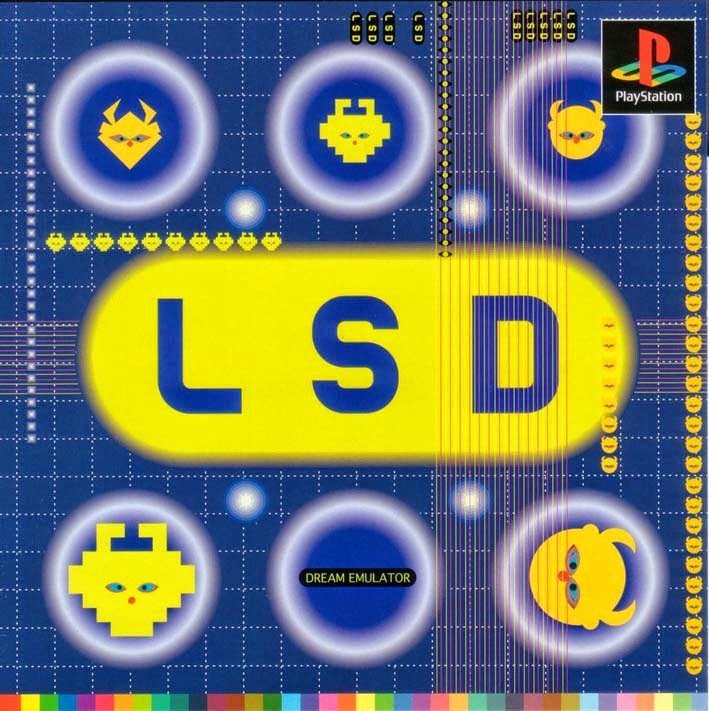 Very creative but limited to game elements are rarely found in Ps 1.